Please find photos of ACE 20th Anniversary here. In the presence of CEOs of ACE member companies, we were celebrating our 20th Anniversary event with representatives of the European Commission, the Council of the EU, Members of the European Parliament and NGOs on 3 December 2014 in Bibliothèque Solvay in Brussels. The 20th Anniversary event served as a forum for high level discussion between EU policy makers and key stakeholders on the emerging policy framework for a circular economy, following the recent package of measures proposed in this area by the European Commission this July. A particular focus was put on identifying the contribution of sustainable resource management to this policy agenda. To view the detailed agenda of the event, please click here. Dennis Jönsson is President and CEO of the Tetra Pak Group, the world's leading food processing and packaging solutions company. Tetra Pak is privately-owned company based in more than 85 countries and has global revenues of €11.07 billion in 2013. Prior to his present position, Dennis Jönsson served in several managerial posts in the Group, including Managing Director of Tetra Pak in Panama, Mexico and the USA. He joined Tetra Pak in Lund, Sweden in 1982 as a marketing trainee and was appointed to the Tetra Pak Global Leadership Team in 2001 as head of the Carton Ambient Business Area. In this position, he was responsible for strategic planning, portfolio management, product development and the manufacture of packaging lines and packaging material, including technical support and service to customers. Dennis Jönsson is 58 years old and has a degree in Business and Administration from the Swedish University of Stockholm. He is married, with two children and lives in Switzerland. Tony Long has 35 years of environmental leadership experience in Europe. He founded and heads the World Wide Fund for Nature’s European Policy Office in Brussels which opened in 1989. Prior to moving to Brussels, he worked for WWF in the UK (1986-88). He was assistant director of the Council for the Protection of Rural England (CPRE) (1981-85) and worked in local authorities in the north of England (1974-77). He worked for two years in the US Senate and House of Representatives in Washington D.C. and later in Oregon and New Mexico as a Harkness Fellow and Congressional Fellowship of the American Political Science Association (1977-79). He was a German Marshall Travel Fellow (1984), a research fellow at the Laboratoire d’Econometrie at the Ecole Polytechnique in Paris (1985-86) and a Visiting Professor at the College of Europe, Bruges (1997-2002). He is the author of several publications on environmental campaigning. He is a first-class honours graduate of Heriot Watt University, Edinburgh, in Town and Country Planning. He is a Fellow of the Royal Society for the Arts (FRSA) and a member of the Club of Rome (Brussels chapter). Erika Mink is the Tetra Pak Group’s Global Director for Environment and Public Affairs. 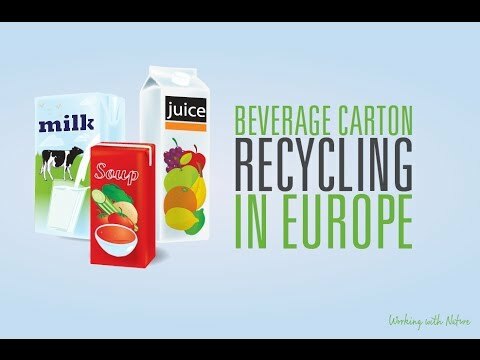 She serves as President of The Alliance for Beverage Cartons and the Environment (ACE), as vice-chair in the Executive Committee of the European Association for Packaging and the Environment (EUROPEN) and as an expert in the Consumer Goods Forum’s work on sustainability. Niels Petter Wright, has been CEO of Elopak since May 2007, having held the position as Elopak’s CFO since 2000. Prior to this Wright worked as CFO for the leading Norwegian automobile BOS Group. Before that he worked throughout the 1990s in various management roles for Dyno Nobel Industries, a global explosives and chemicals group. Wright, a Norwegian national, started his career as a management consultant. In terms of education he has a Masters degree in business from the Norwegian School of Economics and Business Administration in Bergen, Norway. Ms. Sirpa Pietikäinen is a Finnish member of the European People's Party (EPP) in the European parliament. Ms. Pietikäinen is former Finnish Minister of Environment (1991-1995). Her career at the Finnish parliament is extensive, ranging from the year 1983 to 2003. She first came to the European parliament to replace Alexander Stubb in 2008, and was re-elected in 2009 and 2014. At the European parliament, Ms. Pietikäinen is member of the Economic and Monetary Affairs Committee and substitute member of the Environment, Public Health and Food Safety Committee as well as of the Women’s Right and Gender Equality Committee. She was also the EPP-shadow person attending the work of the Special Committee on the Financial, Economic and Social Crisis. A graduate from the Helsinki School of Economics, Ms. Pietikäinen has MSc (Business), and still teaches university courses on negotiations theory and practices. Rolf Stangl was appointed Chief Executive Officer of SIG and a member of SIG executive board in November 2008. Prior to this, Mr. Stangl was Head of Global Market Operations of SIG Combibloc, the Managing Director of SIG Beverages and occupied various other functions within SIG Group incl. amongst others Head of SIG Corporate Development and Mergers and Acquisitions during the period from May 2004 to April 2007. Prior to joining SIG, Mr. Stangl was working in Private Equity as well as in Strategy Consulting. Rolf Stangl was born in 1971, is married with two children. He graduated with diploma of ESC Reims (Diplome d'Etudes Superieures de Management in European Business Administration) and of ESB Reutlingen (Dipl. Betriebswirt) and successfully completed the executive education program GMP at Harvard Business School. Drs. Kitty van der Heijden is the Director of WRI’s Europe Office, representing WRI’s vision and strategy in Europe and facilitating engagement with European governments, businesses, and institutions. Kitty leads WRI’s engagement in the post 2015 Development Agenda, and also embraces work on the international climate regime; the role of the private sector in development; global indicators on resource productivity and efficiency; and inequality. Prior to joining WRI, Kitty was the Ambassador for Sustainable Development and Director of the Department for Climate, Energy, Environment and Water in the Ministry of Foreign Affairs of the Netherlands, responsible for policy development on environmental global public goods and managing the sizeable aid budget of the Department. She was given a National Ribbon of Honor in 2013 for her efforts to raise awareness on sustainable development. After graduating from law school (University of Graz, Austria), Dr Hugo-Maria Schally practiced law in Austria for several years. He then did postgraduate studies in international relations at the Vienna Diplomatic Academy. In his further career he worked mainly on issues linked to sustainable development holding jobs with UNDP, the Austrian Ministry for Foreign Affairs and the Organisation for Security and Co-operation in Europe (OSCE) in Vienna. He joined the European Commission in 1998 and has been Head of Unit in the Directorates General “External relations”, “Development” and "Environment". In the course of his career he has participated in the negotiation and implementation of many multilateral environmental agreements as well as in major global conferences. He has been closely involved in the discussion on the interface between environment and trade and in international forest policy matters. He has also been the main negotiator for the EU for the “Nagoya Protocol on the Access to Genetic Resources and the Fair and Equitable Sharing of Benefits Arising from their Utilisation” adopted in 2010 and in its subsequent implementation in the EU. Since 1st June 2014 he is heading a unit in the Directorate General “Environment” of the European Commission dealing with “ Eco-innovation and circular economy“. Dr. Kevin Bradley is Director for Advocacy of the Alliance for Beverage Cartons and the Environment (ACE) since October 2014. He leads ACE’s engagement with EU officials and stakeholders on key policies issues such as the circular economy package. An experienced public policy and regulatory affairs specialist, Kevin has more than 23 years’ experience at the EU and international level in a variety of positions ranging from the European Commission to international trade associations and consultancy. An Irish national with an MA and Ph. D in freshwater ecology from Trinity College Dublin, Kevin’s expertise and experience is in the environmental, energy and resources fields. Before joining ACE, Kevin has held numerous senior consultancy and international trade association positions in Brussels. He most recently served as President of the Nickel Institute and was from 2000 – 2006 Director General of the Alliance for Beverage Cartons and the Environment. He started his public policy career in the European Commission’s Directorate General for Environment in 1991.